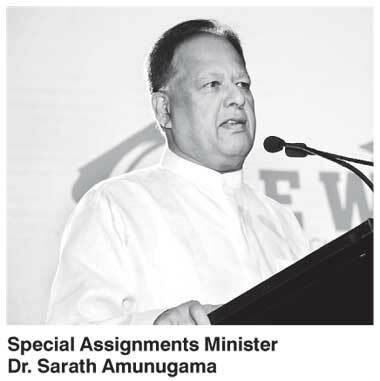 Participating as Chief Guest at the inauguration of the new Head Office of the private educational institution ‘E Wings’ at Sambuddhthva Jayanthi Mandiraya, Colombo on 19 January, Minister of Special Assignments Dr. Sarath Amunugama said that although Sri Lanka has set a record in providing education free from kindergarten to the university it is increasingly becoming difficult for the State alone to shoulder the entire burden especially in regard to tertiary education. Therefore he said the Government welcomes private initiatives in this field, particularly those affiliated to reputed higher educational institutions abroad. The Minister said he cannot understand the mentality of those agitating against a private medical university. He said that if you go to the former communist countries you will find the largest number of private universities there. Even in China it is the same, he said.